Dr. Salzberg - I read your article with great interest, but I must respectfully disagree with several of your conclusions. You make some very valid points about the potential harms of excessive vitamin intake, but I believe you may also be underestimating the prevalence of inadequate intakes as well as ignoring the well-established benefits of several of these nutrients. Vitamin C, for instance, is a powerful antioxidant with diverse roles in human physiology. However, even in the modern day United States, Vitamin C deficiency isn't as rare as you'd think. The CDC stated in their 2012 report on Biochemical Indicators of Health and Nutrition (www.cdc.gov/nutritionreport) that nearly 16 million people have serum ascorbic acid concentrations in the deficient range. Nearly half (48%) of adults who do not consume dietary supplements regularly consume less than the Estimated Average Requirement (EAR) for Vitamin C (http://www.ncbi.nlm.nih.gov/pubmed/22709770). There are several health benefits attributed to Vitamin C – and as an example, I would point you to a meta-analysis by Dr. Edgar Miller (the same Dr. Miller you refer to in your vitamin E section), where he and his colleagues reported a statistically significant reduction of both diastolic and systolic blood pressure following vitamin C supplementation (http://www.ncbi.nlm.nih.gov/pubmed/22492364). Vitamin E is a nutrient in which it is rare to meet the intake recommendation when relying on solely upon natural food sources. In fact, nationally representative surveys show that, among non-users of dietary supplements, 96% of adults do not meet the EAR for vitamin E (http://www.ncbi.nlm.nih.gov/pubmed/22709770). Another important point of note is that the current DRI for vitamin E is 33 IU/day, which is more than 10 times lower than the 400 IU cutoff used in the Miller meta-analysis you refer to. The same criticism could be given towards your statements regarding vitamin A, wherein the studies you are referring to used doses significantly higher than the Recommended Dietary Allowance (RDA) for Vitamin A, and in fact, were significantly higher than the Tolerable Upper Intake Limit (UL). There are significant differences between meeting the intake requirement and drastically exceeding it. I have to admit, I was quite surprised to see your statements about vitamin B6, as well as the statements about vitamin B12 in the body of the paragraph. Although you stated that vitamin B6 deficiency is "rare", in fact, according to the CDC vitamin B6 inadequacy is actually the most common nutrient inadequacy observed in the United States today, affecting over 30 million people (www.cdc.gov/nutritionreport). Vitamin B12 deficiency also, sadly, is not terribly rare. While intakes of Vitamin B12 are generally quite good, up to 30% of seniors will develop a condition known as atrophic gastritis, which significantly impacts their ability to absorb naturally-occurring vitamin B12. Supplemental or fortified sources of Vitamin B12, however, do not rely on gastric acidity for absorption, and therefore are not subject to this impairment in absorption. In light of this, vitamin B12 was listed by the US Department of Health and Human Services and US Department of Agriculture in the 2010 Dietary Guidelines for Americans as a "nutrient of public health concern for adults 50+". Furthermore, the Dietary Guidelines Advisory Committee goes on to state "Although individuals older than age 50 years appear to be meeting their need for vitamin B12, they should be encouraged to consume foods fortified with B12, such as fortified cereals, or the crystalline form of B12 supplements, when necessary” (http://www.health.gov/dietaryguidelines/2010.asp). In sum, neither B6 nor B12 deficiency is rare, and in the case of the latter, supplementation is advocated by the federal government for specific at-risk groups. With respect to your statements regarding multivitamin use, on the Forbes website Nancy S. already correctly pointed out the results of Physicians' Health Study II, randomized, double-blind, placebo-controlled human clinical trial in which long term use of a multivitamin significantly reduced the incidence of total cancer (http://www.ncbi.nlm.nih.gov/pubmed/23162860) as well as myocardial infarction mortality (http://www.ncbi.nlm.nih.gov/pubmed/23117775) (however, in the spirit of full disclosure it should be noted that the latter was a secondary endpoint, but nevertheless is encouraging considering the above average health of the study subjects at baseline). There are also well-established benefits that result from Calcium and Vitamin D supplementation with respect to fracture prevention, both of which are contained in the majority of multivitamins. It is also worth noting that both Calcium and Vitamin D were listed as “Nutrients of Public Health Concern” for adults and children by the 2010 Dietary Guidelines Advisory Committee, considering the high degree of inadequate intakes as well as the significant health benefits associated with meeting the dietary intake requirements (http://www.health.gov/dietaryguidelines/2010.asp). Again, as Nancy S. had pointed out on the Forbes website, the dietary intake of several nutrients, including Vitamin D, Vitamin E, Vitamin C, Magnesium, and Calcium (to name a few), are routinely observed to be well below the recommended intakes in a significant portion of Americans (http://www.ncbi.nlm.nih.gov/pubmed/21865568), and consumption of dietary supplements such as a multivitamin provides a safe, simple, and cost-effective way to address these nutrient inadequacies, and multivitamin use has been clinically demonstrated to have a significant beneficial impact on health. In closing, I applaud your efforts to address the science surrounding the use of vitamins and thank you for taking the time to write your article. Indeed, I agree with you that efforts to improve the dietary intake of vitamins from natural sources should be encouraged first and foremost. 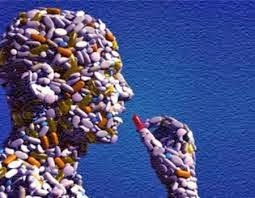 However, contrary to your assertions, the prevalence of inadequate intakes and deficiencies are quite common, and furthermore that there are numerous well-established benefits associated with the use of the vitamins you have listed, some of which have even been recognized by Federal authorities for their direct relevance to public health. Going forward, I would encourage you to continue your research into the health benefits of vitamin use, and I would lend myself to you as a resource if you should ever be in need of assistance. Please note: the postings on this site are my own opinions and do not necessarily represent the positions, strategies or opinions of DSM.